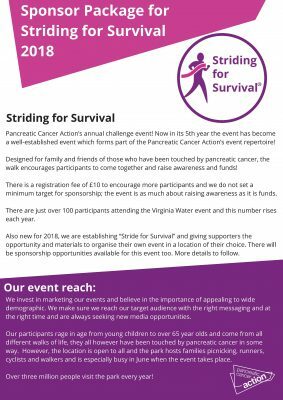 The event takes place in June at Virginia Water, Windsor Great Park, each year which attracts thousands of visitors to its beautiful, historical grounds. 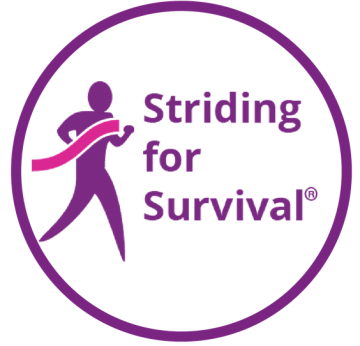 Striding for Survival is a family friendly event, created to bring together families and friends of those touched by pancreatic cancer. As a corporate sponsor of our event you will benefit in a number of ways. Boost your brand recognition, develop your Corporate Social responsibility, increase your Cause Related Marketing and give your employees the opportunity to volunteer for charity!